Form Delaware Corporation online. The IncSmart order form takes only minutes to submit. Receive your order confirmation by email immediately. 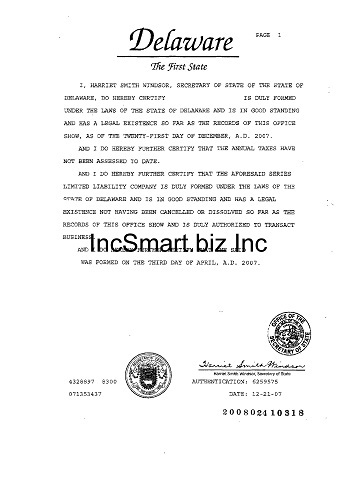 Stamped Delaware Corporation Articles will be returned by email. We take the guess work away form you. 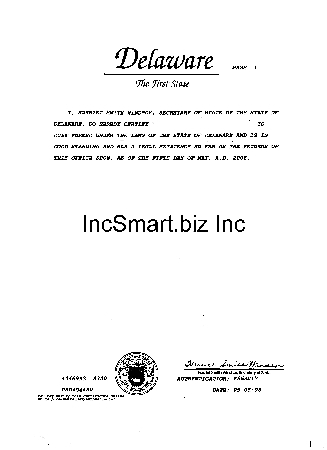 Incsmart is your solution to Delaware Corporations. How to form your Delaware Corporation in three easy steps. Relax. 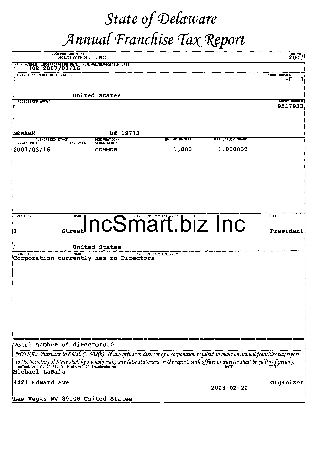 IncSmart will send you the Delaware documents. If your Delaware company has business owners who do not live in the United States, the Delaware Limited Liability Company may be a suitable alternative as it does not require members to be US citizens. 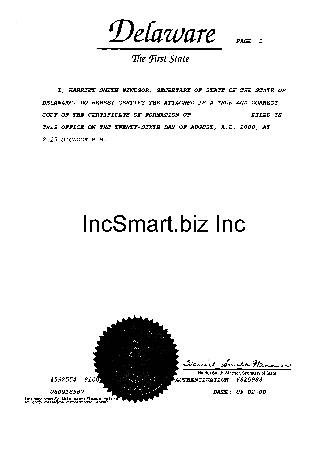 Ordering a Limited Liability Company is easy from IncSmart.biz. If you are an attorney, CPA or Real Estate agent, a Professional Limited Liability Company will be better for you. Apostilled Delaware Certificates for England, Australia, Canada, or any country with membership in the Hague Convention. 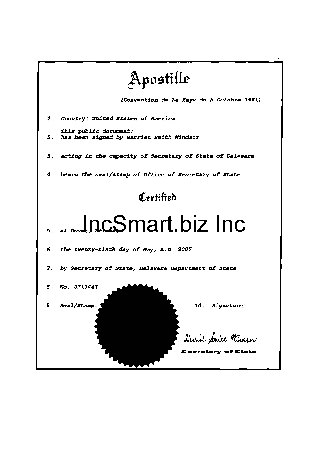 The Apostille certifies the authenticity of the signature on corporation documents.